The smart hotel is the result of cooperation with start-up hotel brand, ALLYN (All you need), which was founded by hospitality industry expert Alain Cheseaux, and hotel planner and think tank Monoplan, both from Zurich. A model room and central hotel areas on 200 square metres in 1:1 scale, including a foyer with self check-in, conference and co-working ambience, “living room” and bar were exhibited. Visitors were immersed in an innovative world of hotel experience with smart equipment, which is intended for urban metropolitan areas. Perfectly oriented to the rebranding of existing hotels, but equally suitable for changes of use of commercial properties and new buildings, the presentation grasped the spirit of the age and attracted a great deal of attention. The guest target group of the ALLYN hotel concept are business travellers in medium-sized and large cities. Its focus is precisely the comfort that hoteliers need to operate and that guests actually require during their hotel stay. The public area serves as a living room and provides space for communicating and working. The overall concept includes digital components such as a perfect WiFi network, self check-in, smartphone key and an app for booking individual services. The hotel mock-up also demonstrated how hotel rooms can be designed consistently down to the last detail – from the entrance door to the bedside light and the bathroom accessory – using the hotel assortment from Häfele, which consists of more than 200 products. The designs and finishes have been coordinated perfectly with each other in the Häfele hotel assortment. The result is a stylistically atmospheric unit with a wow factor. As far as the design of guest rooms and bathrooms is concerned, planners and operators can select products and systems that are mutually compatible in a quick and targeted way. They benefit from global availability, standard quality and consistent design. The “ALLYN stay smart” concept provides the real estate owner with above-average returns, and provides the guest with comfortable, smart ambience at an unbeatably low room rate. This creates an all-round fascinating and inspirational win-win situation for everyone involved. 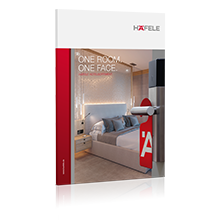 As a hotel specialist, Häfele combines international expertise with local presence, has access to a globally unique range of furniture fittings and architectural hardware and optimised procurement for any construction task. The company’s project and hotel experts reliably support architects, builders, operators, technical planners, general contractors and fabricators from initial planning to tendering, implementation and operation. The large product range width and manufacturer-independent consultancy with regard to doors and furniture are the mainstays of 360° comprehensive project solutions, from which both large hotel chains such as Hilton, Hyatt, IHG or Marriott and family-run private hotels, youth hostels, and the entire hostel market can benefit. Numerous innovative products such as heated and illuminated bathroom mirrors with sound, flexible storage space with Easy Storage and digital interfaces to building control and smart home are the guarantee of comfort and sustainability. They are constituents of Häfele’s comprehensive planning and consultancy expertise. 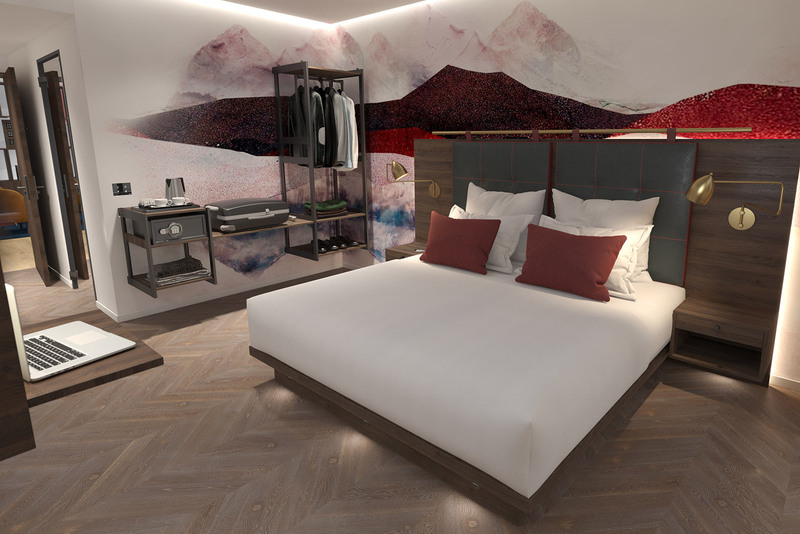 With its hotel mock-up, Häfele is remaining faithful to its outstanding role as a forward-looking driver in the project business, accepting social challenges such as the generation change in the accommodation industry, and continuing to think ahead with selected partners. The milestones on this journey were the “Functionality Cube”, with its multi-functional interior concept for the LoftCube by Werner Aisslinger, the “Youth Lab” multi–award winning trend project of the youth hostel room of the future and the “Micro Apartment” which was presented at the last BAU in Munich – all impressive evidence of Häfele’s 360° comprehensive project solutions, which trade fair visitors will be able to see for themselves once again at the BAU trade fair in Munich. 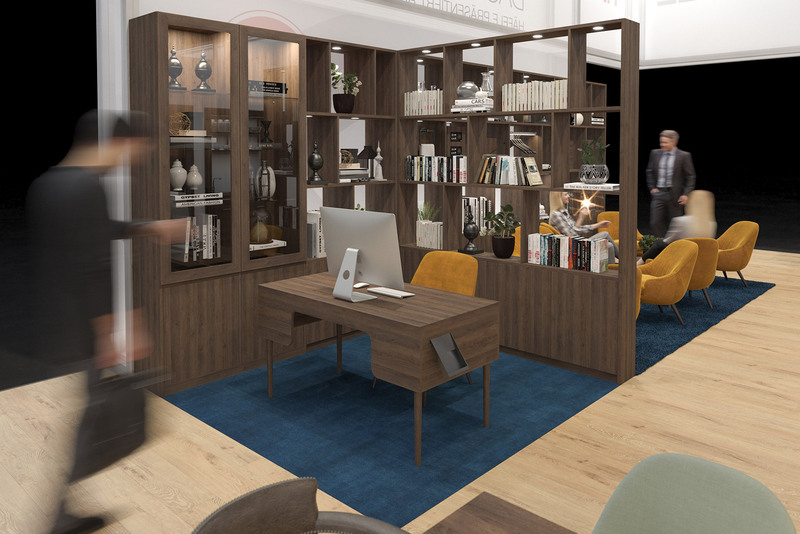 The focus of the Häfele trade fair booth at BAU 2019 was ALLYN (“all you need”), this smart hotel model room for comfortable living at an unbeatably low price, equipped with products from the Häfele assortment for hotels. 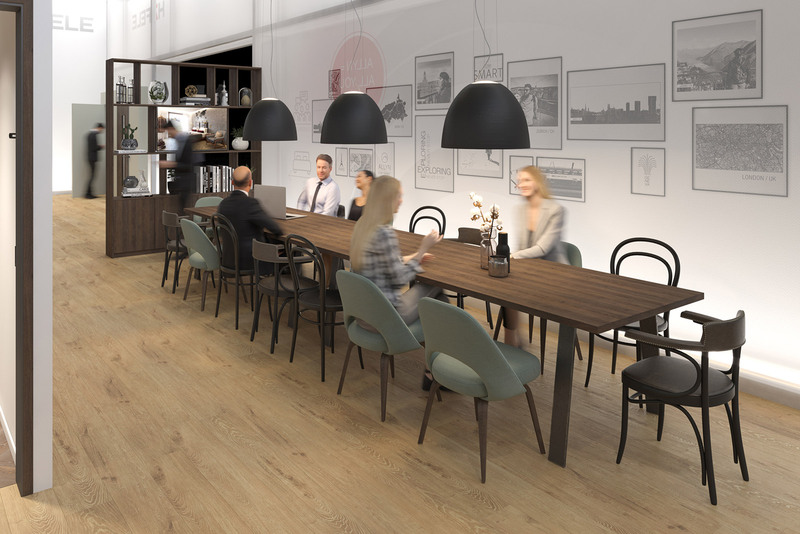 The Swiss start-up hotel brand ALLYN (“All you need”) at the Häfele trade fair booth at BAU, here with the conference area (left), the hotel room in the middle, and the co-working area (right). The public area in the ALLYN smart hotel is also a location for meeting people – the living room of the hotel, so to speak. 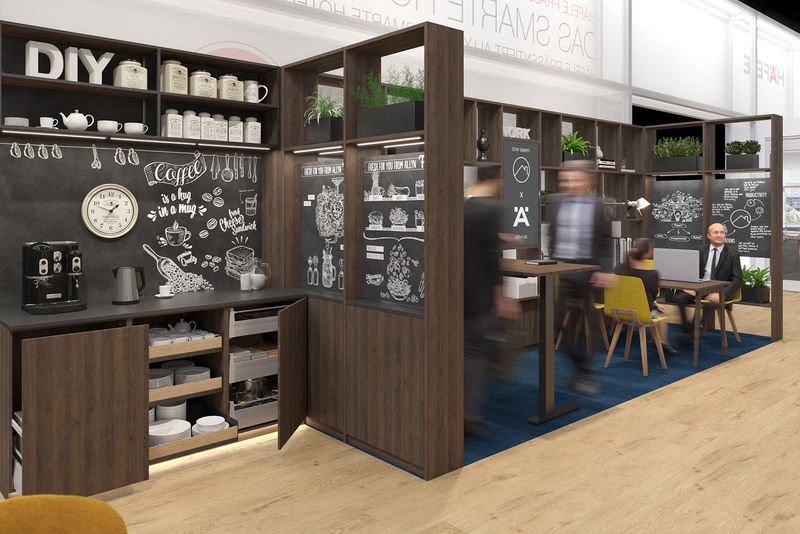 Coffee bar in the self-service zone of the ALLYN mock-up with co-working space in the background and functional cabinet equipment from Häfele. 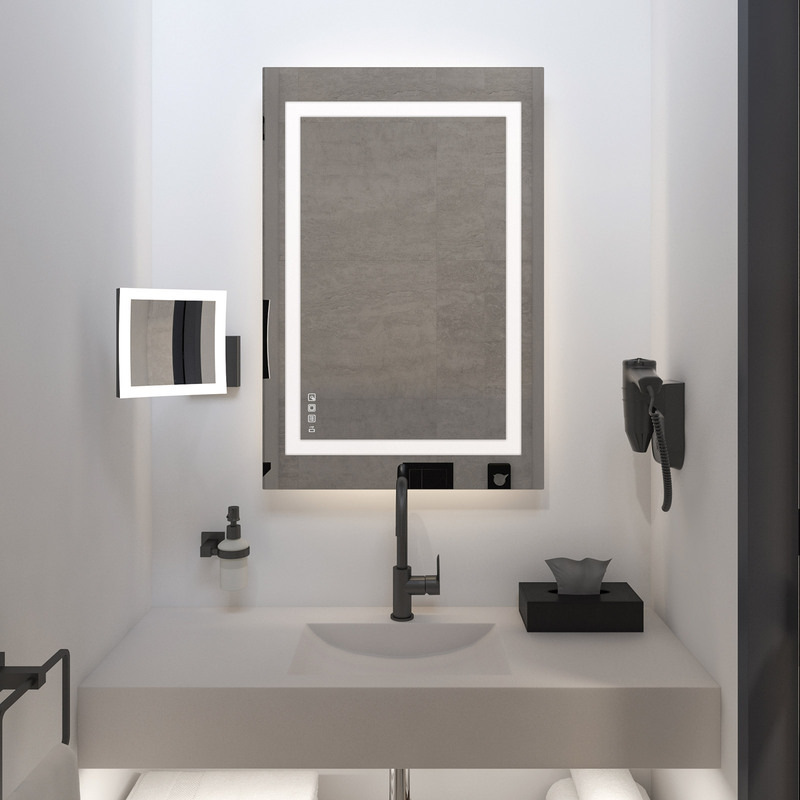 The heated and illuminated bathroom mirror from Häfele with integrated sound system turns the use of the bathroom into a special treat for the guest.